The Sedona Rip Saw is one of the most popular tread patterns on the market. Sedona really hit a home run with this super popular tire. It's tread design works very well in both mud and hard packed terrain. 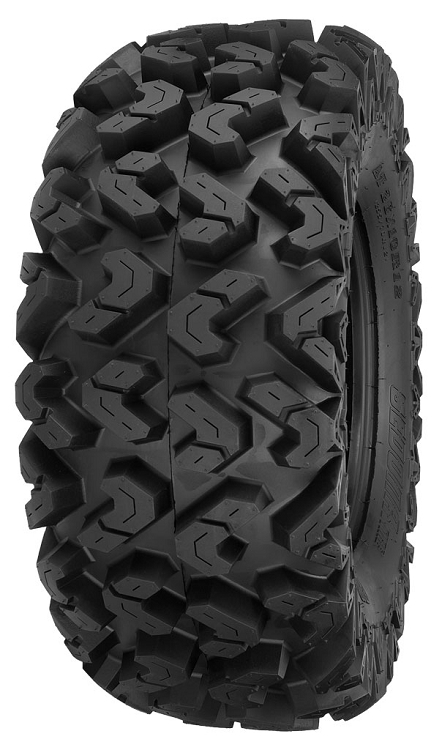 The tread depth is 1 1/8 inch and it cleans out well in mud giving you great traction in all types of extreme terrain. The Rip Saw also boasts a strong 6 ply radial carcass making this a very heavy duty and long lasting tire! - Our Sedona tires ship out within 1 business day! I ordered these tires at noon one day, and they were at my house at noon the next day, incredible!! These are a great upgrade to the stock Bighorn 2.0, far more aggressive and a lot tougher. Awesome service from pure offroad, tires arrived in no time and they look great on my '03 660 grizzly...can't wait to get the ice of Saginaw bay and chase some walleyes. Super tire. Work great in everything and smooth riding. Plus shipping was super fast. 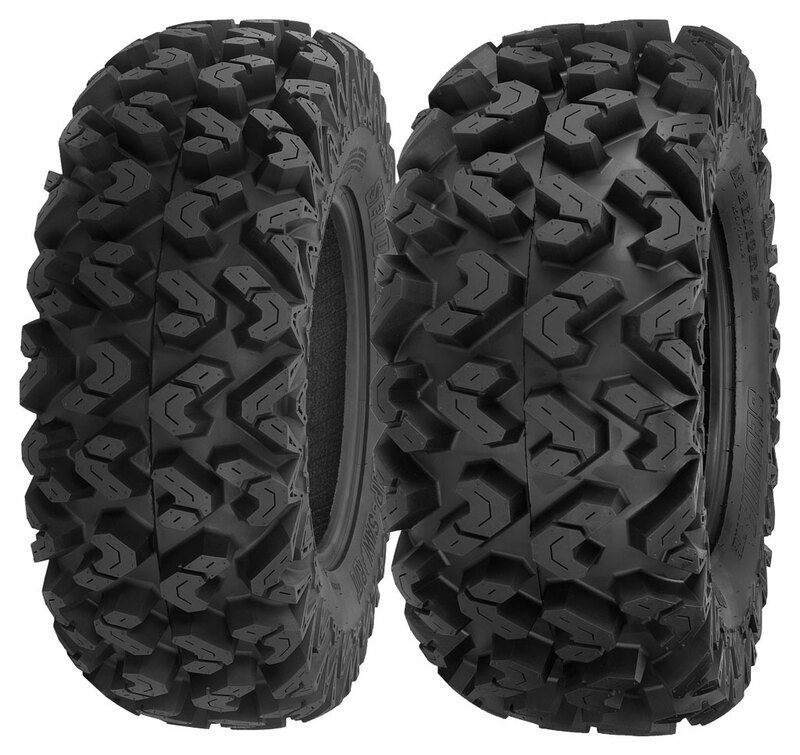 These tires are by far the best UTV tires we have ever had. Currently have 12 6x6 Polaris Rangers that all have these tires on them. It is rare if we get flats and we typically put on 2,000 hard miles every season on each rig. Pure Off Road always is prompt in shipping. Excellent in mud and snow, haven't yet taken them on the rocks. sure footed and agile, far better than the original bighorn 2.0 4ply which I found hated rocks ripping the sidewall (yes the stock tires were measly 4 ply). Did not expect the shipping to be so fast, a very welcome addition from a business. Would I recommend... of course, both the tire and pure off road. We ride very rocky terrain and these tires hold up very well. Sidewalls are very heavy and have little flex. The tire itself is pretty heavy so you may notice a slight power drain but if you want to make sure you get back to camp.... this is your tire. Good pricing and fast shipping from Pure Offroad. Excellent price,Very good staff and Fast Free Shipping! How in the world can you beat that! A: Yes we have them, we just updated our website to show them. We can do a mounted kit for you today. Let us know! thanks. Q: What are the actual dimensions of these two tires as far as mounted height and width 26×9R-12 and 26×10R-12 ? A: The dimensions can vary a little depending on the size of rims you mount them on, air pressure etc... These are like most tires on the market, they run a bit short, about 1/2 inch shorter than advertised.